Step into Restaurant Madame Butterfly and be instantly transported into the elegant world of traditional China, splashed with traces of contemporary charm. Dramatic terracotta warriors, traditional furniture, magnificent Chinese paintings, calligraphy works and ancient artifacts provide an atmosphere of glamour and old world mystique, not unlike an ancient emperor’s luxurious palace. The impressive Forbidden City also houses other restaurants like Bar CoCoon, which you can look down on from wooden railings. 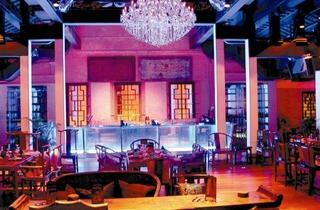 The balcony at the back commands a view of the courtyard and the garden, with the vibrant Clarke Quay as a backdrop. 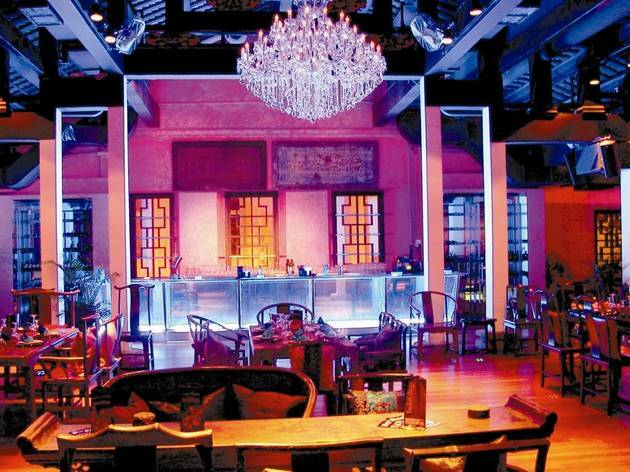 Modern Chinese cuisine is served here, and highlights include dishes like pepper beef ($25) and soft shell crab ($28).